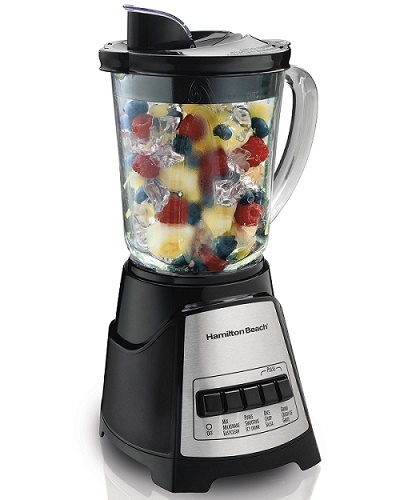 A blender is a very useful appliance in any kitchen. Whether you have small children and wish to prepare nutritive meals or delicious desserts fast and without too much mess or you wish to start a healthier way of life and introduce more fruits and vegetables into your diet, a blender can be your trusted assistant. 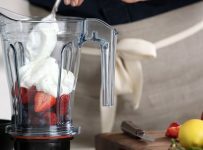 In the following post we have gathered 5 of the best counter-top blenders available for sale these days, with prices that will satisfy any budget and performances that exceed expectations. Highly appreciated by thousands of users, these models are ready to improve your life’s quality and save you precious time for the activities that really matter for you and your family. When you want to buy a good counter-top blender it is best to establish a budget and your motives to invest in this appliance. There are different types of blenders, different price range and different features depending on the desired use. Our top picks try to satisfy even the most exigent customer and are fit for the most demanding blending tasks. 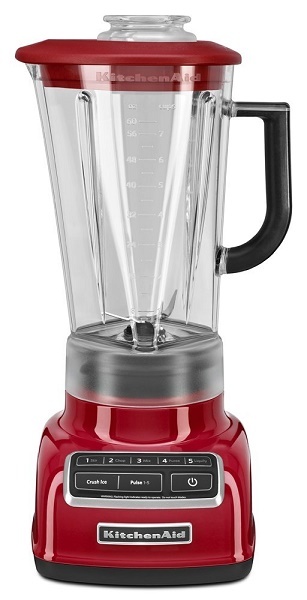 This 700 watts of power blender has everything you could wish for at a more than decent price: it it great for making protein and fruit smoothies, crushing ice and grinding coffee/nuts/ spices. With 12 blending function and a no-mess pouring spout it is the perfect kitchen aid. The stainless steel base and sturdy, glass jar give it a sleek look that will make it stand out in any kitchen. If you are seriously into smoothies and plan to follow a strict, every day diet based on them, you should definitely go for a Ninja Professional Blender (BL660). This particular model comes with a tempting price for the professional features that it brings: 1100 Watts power, patented crushing technology and an extra large, 72 oz. capacity jar. Durability and performance that is what Oster promises to deliver. 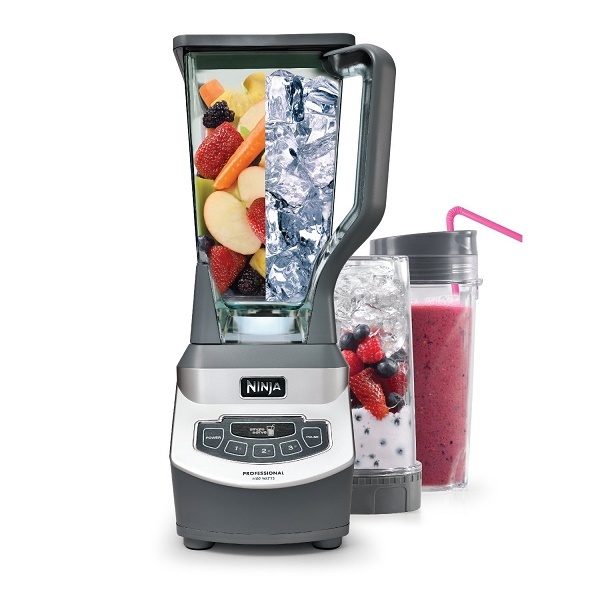 1000 power watts/ 600 blending watts combined with all metal drive and reversing blade technology ensure a smooth mix of any ingredients no matter their consistency. 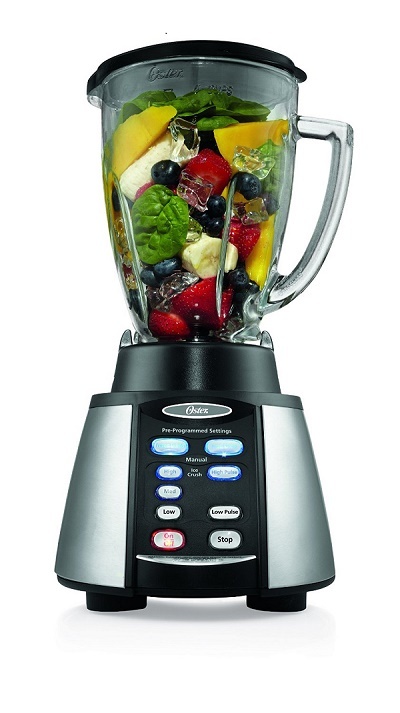 Several pre-programmed settings and a great price make this model a top choice for both an experienced or a novice smoothie aficionado. This exquisite model by Blendtec is a premium, commercial quality, 1560-watt countertop blender with 3 HP direct-drive motor. This versatile appliance will replace most of the small kitchen appliances: it makes smoothies, fresh juice, ice cream, milk shakes, margaritas, soups, sauces, bread dough, dressings, salsas and more! Speed, power and efficiency- that is what KitchenAid 5-speed diamond blender brings into your kitchen. Pulse function, 1-5 speed settings and crush ice mode ensure an optimal experience and exceptional results. Diamond blending: all ingredients blend together quickly and efficiently. Intelli-Speed Motor Control for optimal speed to power through all ingredients. Pulse mode works with all speeds for staggered blending. Clean-Touch control panel wipes clean easily.